Oh, it’s real, all right. And incredibly beautiful… the color, the proportions, the apparent 3D perspective of this grand icy world. It is arguably the finest sight accessible with a small telescope. The planet reached opposition on June 15, 2017 and will remain bright and large in a telescope over the next few months. Here’s how to find it and see it in a small telescope. Saturn reaches opposition in the southern reaches of the ecliptic this year in the constellation Ophiuchus, just west of Sagittarius (see below). The planet has been retrograding westward against the stars since April 6 and resumes its eastward motion on August 25. Saturn shines at magnitude 0.0, brighter than the red-supergiant star Antares, which is a magnitude fainter than Saturn, well to the west. While Antares is clearly orange to red-orange, Saturn is a pale sand color. 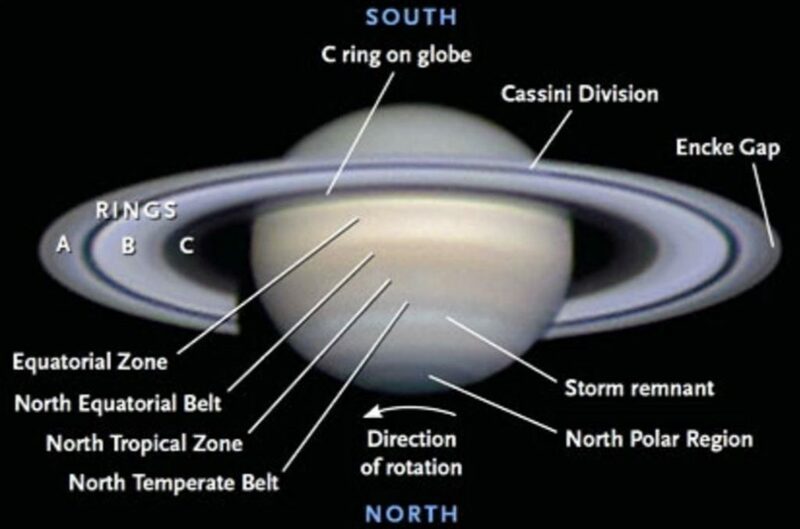 At opposition this year, Saturn lies about 830 million miles from Earth. Saturn in the constellation Ophiuchus in the southeastern sky a few hours after sunset in late June 2017 as seen from the northern hemisphere. This view is visible nearly overhead for observers in the southern hemisphere (created with SkyX Serious Astronomer by Software Bisque).